PDX Minecraft – Page 3 – Just a bunch of Minecrafters…. Server down time Friday morning April 4th. The server will be up and down Friday morning while I try and determine what is causing the full CPU load all the time on the server process. I will let you know when the server is going to stay up and running. Update 2: Servers are back up. Did a full backup of all servers, and attempted some optimizations on Fancy. New features for the server. As some of you have found in your travels, there are some odd biome issues on the new map. I have been trying to figure out how to fix this beyond remaking the map, which was not going to happen. And I have found a plug in to let Staff fix these issues. Also if you have issues with leaves, not decaying on custom trees. Let us know we can fix that also. This afternoon Fancy and Skyblock started crashing. I currently have all MC servers offline until I can get a look at this evening. Update: Tek found information that showed it was a Spigot issue, updated spigot and servers are backup, but it appears there are some runecraft and multiverse issues happening. I will work on those after work. Update #2: Inorushi_Shimo pointed us to why Runecraft and Multiverse are acting weird. I did not notice that the update to Spigot was for 1.7.5. Glguy is taking a bit of time when he can, between his kid and new baby, to see if Runecraft can be built for 1.7.5. If he is unable to we will rollback to 1.7.2 in the next day or so. 1.7.2 clients can still join the server just fine. Update #3: After a plea for help Glguy compiled a version of Runecraft for 1.7.5 that seems to work fine. He did say there were some possible issues with arrows, so keep an eye out for those. We will stay on 1.7.5 for now. Also nether is now up and running for the new world. Let staff know if you need anything moved. Just a heads up on copying builds. It appears from some people that have had issues. Trapped chests will not retain contents on copy. be sure to empty any trapped chests into normal chests before copying. Also some things can change oreintation when copied. Pistons, Furnaces among others. If you want the building rotated this can cause issues with stairs being rotated into the wrong direction as well. Keep these things in mind before getting your build copied. Dynmap is back, for now. So I was able to figure out how to get dynmap working for map1, I was tired of every moaning about it not being up. It will render 1000 blocks around spawn, then the rest will be blank and render as it is explored. For some reason none of the other maps work, and I am not very bothered by that for now. So until we move to the new "server" instance I am not going to worry about the other maps. New Map offline Sunday Morning. Going to take the new map offline for long enough to get a good copy of it. Cannot do that while the server is running. This will let me know if I can "correct" some of my screw ups with the map. Shouldn't be down for more then 1/2 hour. New World is up and running. Lades and Gentleman, and thats saying something about some of you, the new world map is done and running. To access the new world server do /server main. Victum found a bug, for now we have to attach the new main world to the fancy server. You can access it thru a portal in the warp room of spawn center. It will remain this way for 1 month. During that time we will be able to copy chests with inventory. After 1 month we will be able to copy structures but chests will be empty. To copy your stuff see the how to setup outside of the east gate of Arcadia. When a mod/admin is on we can copy your stuffs. Again remember personal inventory will not transfer. We will only copy an item once, when give the OK to copy it will be removed from Charis if outside of the central hub. If it is inside central hub the residence will be taken away. UPDATE: One last thing, when we move to the new server. any WP/TP in the new map will have to be recreated. That is part of why we are moving to the new server. There are a huge number of signatures in use, and no way to tell which of them are no longer needed. So if everything goes well, we will have the new world map up and running this Saturday 3-8-14. Everyone at Mouse Lan will get a chance to see it tonight as we do some tweaks on it tonight, then get it loaded onto the main server tomarrow. So now we need a name for that world. Everyone start posting ideas for names in the comments here. and we will hold a poll for the final name starting on Monday, and ending next Friday. So get those names into the comments this weekend! So been going thru some crap from work, this has caused some slowdown on the new map work. I am about 40% done, and really am shooting to get it done by Mouse Lan. The server was hardlocked this morning and I am not sure yet why that happened. We had to use a backup file for runecraft but it is about 1 month old. Sorry about that. Also it appears the dropping out he bottom of waypoints again. Please be careful until we can get that fixed again. Update: Glguy hopped on last night and waypoints are fixed again. So everything apperas to be back to normal. Replacement CPU has arrived, and is WORKING! So the replacement CPU has arrived. Around 3pm the server will be shutting down, hopefully for only a breif period, while I change motherboard and CPU. And we can get this server back up to speed. Update: Had some issues with starting the server backend software, but glguy got it going quickly once we got thru to him. Everyone thank glguy! Ever wanted to build a world? Well now is your chance. I would like some help deciding where the biomes will be on the new world map I am working on. So I have uploaded some 2d images of the new world. They range from the Tiny map at just 1024x1024 to a full resolution 20480x20480 picture. Paint on them and include a color key so I know what colors you used for the biomes. In the larger maps you will see black lines these are topographical lines showing altitude. Also the grass extends to 128 high, the stone to 160high as a general guideline for altitude. Have fun and get the maps back to me. Try to have submissions done before the end of the month. List of Biomes - http://minecraft.gamepedia.com/Biome - ignore terrain type biomes, like plateau and ocean biomes. Well having a motherboard and CPU fry at the same time doesn't happen very often. We are running on a temperory CPU/Motherboard donated by Gasia right now, while I RMA the much faster CPU to AMD. So we are getting back up and running, the main servers should all be exactly as we left them on Monday when the hardware died. Let a mod or admin know if you discover any issues. We have updated to a new server management software, which will make it much easier to get servers back up and running if they crash or don't start for some reason. But it is having a few issues with plugins on fancy, so this is to let you know what is going on. Dynmap on fancy is offline for now. To get to spawn points on Fancy do /spawns, this will bring up an inventory window that shows spawn points at the top of the screen. Click on the location you want to teleport to. Let the staff know if you find any other issues. We want your opinion so please vote. We are going to get rid of plain and replace it with the currect Vanilla world. For area protection do you want Residence, Grief Prevention, or nothing and leave it wide open. Update: Glguy - Vanilla can be whatever the players on it want it to be. The reason to add an area protection plugin would be to remove the whitelist and get more players in. It doesn’t mean that we have to add any more plugins than that. It doesn’t mean that we have to use the set of rules that Plain had. I’d love to hear what people want from Vanilla. Switching it to spigot shouldn’t change gameplay per se; players shouldn’t notice that change. This can be found outside the North gate of Arcadia. Runs every night at full dark, until we decide to stop it from running! New plugin added to the Fancy server tonight. This was brought to my attention a few weeks ago, and I wasn't sure I was going to add it to the server. 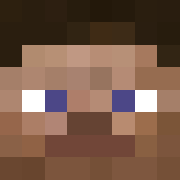 Autocrafter lets you use frames, dipsensers, and a redstone signal to craft items. No longer will you have to spend hours creating the items you need for your fantastic builds. Here is a basic tutorial on how it works. It can be powered by any redstone signal, so you don't have to keep push a button, or throwing a switch.